Here is a place where as soon as you drive through the locked gate you are in a wildlife paradise. When I did my recon visit there, I was amazed at the amount of whitetail deer and Rio Grande turkeys I saw. I also saw hogs, javelinas, bobcats and coyotes. If you are tired of seeing little or no game where you hunt, this place will get you excited. 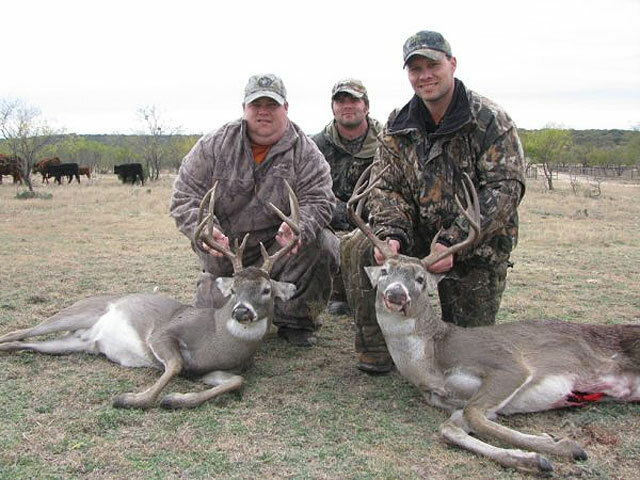 It is also a great place to take young hunters and Texas youth licenses are only $7. Plus this is a small operation that only takes up to two hunters per hunt (exceptions for families) so you will have the place to yourselves. The ranch is 2800 acres – all under one high fence and not chopped up into smaller pastures. There is a lot of room for the deer to roam and it has very dense cover. For that reason hunting is by stand hunting only. Ground blinds and elevated box blinds are used to overlook water, feeders or senderos. 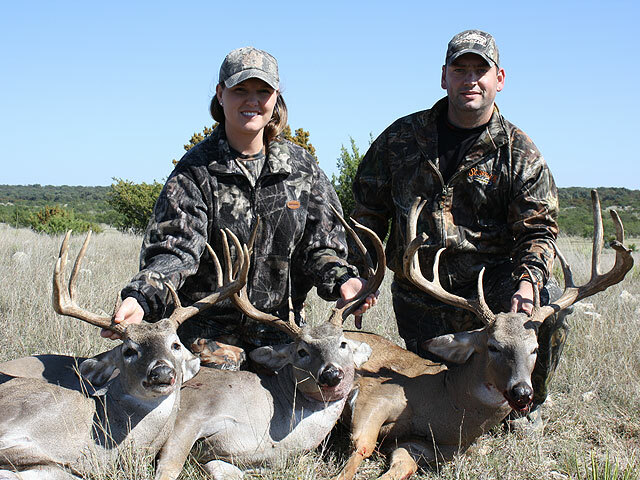 Management buck hunts are offered as are trophy buck hunts. 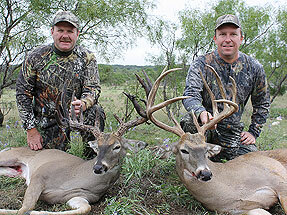 A guide will be with you to help determine which bucks are management bucks and which are trophy bucks. Management bucks are mature bucks 3.5yrs or older usually 8 and 9 points. Management hunts will be held from October through February. Hunters may choose to upgrade to a trophy buck during the hunt. Your guide will inform you of the price to do so. Trophy buck hunts will be held from October through February. There are some exceptional bucks here – some over 200 inches. Pricing will be via a sliding scale based on size. Your guide will estimate the score of the deer on the hoof. In the event of a discrepancy, the benefit will go to the hunter. 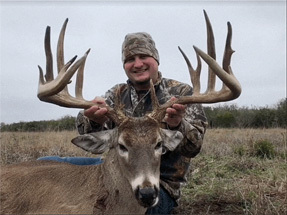 For example, if the guide says a buck is in the low 170’s and ends up scoring 165, the hunter pays for a 165 deer. If the buck scores more than estimated, the hunter pays for the lower class which the guide estimated the buck to be in. Additional animals may be taken as follows: javelinas $150; Rio Grande turkeys $1000; hogs, bobcats and coyotes can be shot for no fee. Whitetail does may also be taken for $200. 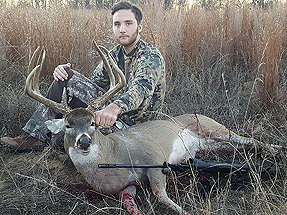 A General Non-Resident Hunting License for $315 is required. 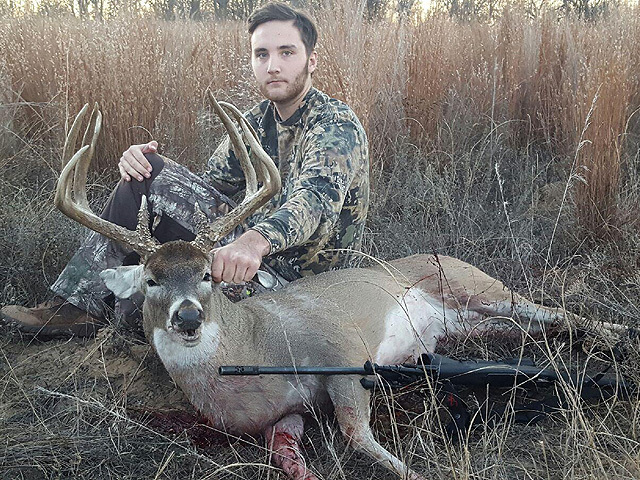 For ages 16 and under, the only license required is the Youth Hunting License for $7. Licenses are unlimited and there is no draw required. 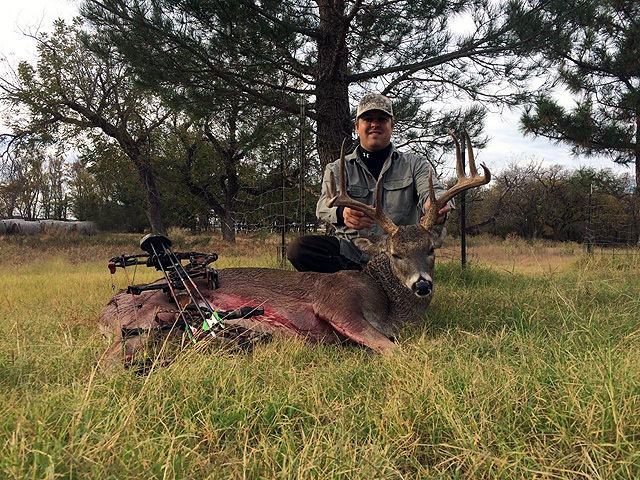 Deer will tagged with a MLD tag and will not count toward the Texas limit. Includes: meals, lodging, 1×1 guiding, field dressing of your deer and delivery to processor. 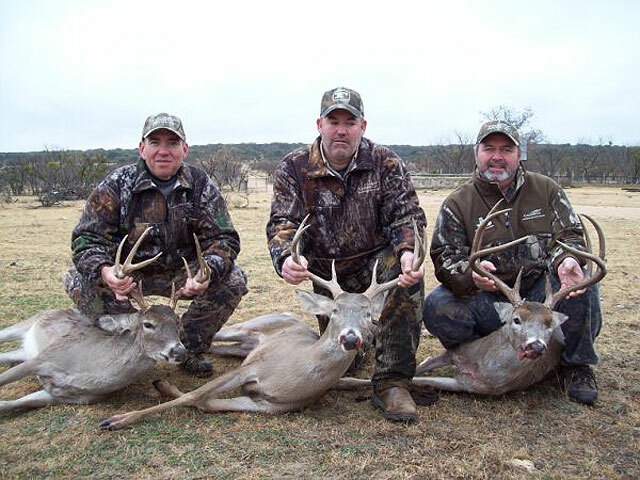 This hunt is primarily a bow hunting operation with limited rifle hunts. 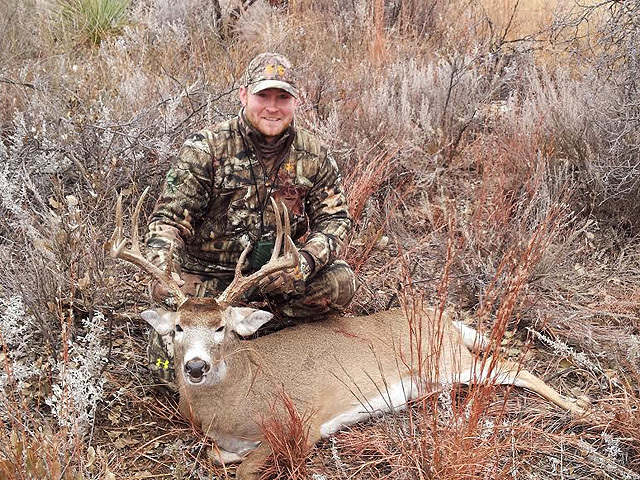 The outfitter has over a dozen properties totaling 10,000 acres. Hunting is out of ladder stands, tripods and shooting boxes. The terrain is flat to rolling consisting of ag crops, weed fields, scrub oaks and timbered shelter belts. A feeding program is in place. This is a great hunt for someone that likes to look at a lot of deer. For those that can hold off, the odds are very good of killing a 130 or better. Hunters are asked to refrain from shooting bucks scoring under 120. One mature buck and one doe can be taken. This area does not have a lot of hogs but they can be taken if seen for no additional fee. The outfitter will show hunters the property they will hunt, boundaries and the stand sites. Meals and lodging are not included but there are multiple options for hotels and restaurants in town. Hunters can also bring their own camper and camp on one of the ranches. 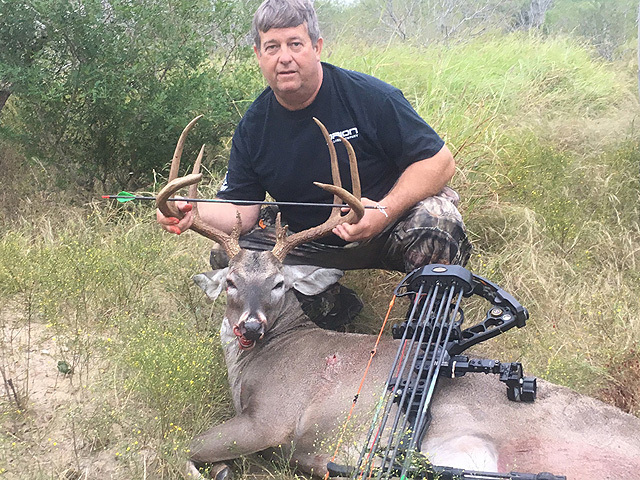 Bow hunts are held from early October until early January and rifle hunts are held from early November to early January. Licenses are over-the-counter and cost $315 - buck and doe tags included. 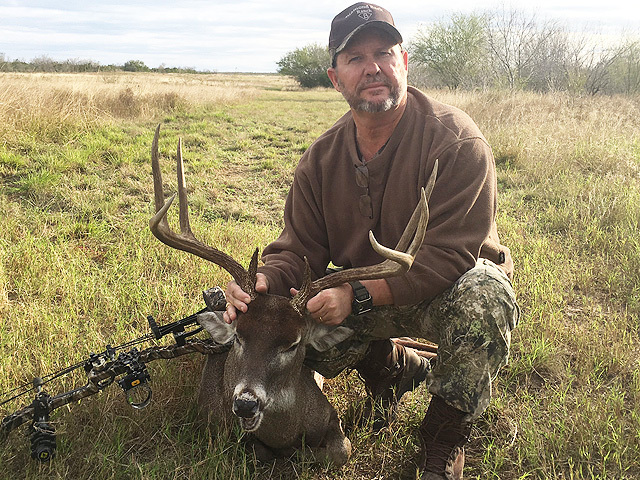 Hunt southwest Texas for free range or high fence whitetails. The Free Range Hunt is for 8 point bucks or better. Bucks typically average 115-125 B&C with some scoring 140 and better. Hunting is conducted on over 20,000 acres. This is a great destination if you like to see a lot of deer. It is not unusual to see 10-20 bucks per day. Success rates normally run 95%+. Hunting methods include ground blinds, glassing open flats from tripods and horn rattling. Includes meals, lodging, 3×1 guiding and field care of your deer (field dress, skin and quarter). The High Fence Hunt is conducted on 2000 acres. This hunt can be a challenging hunt due to the size of the enclosure. 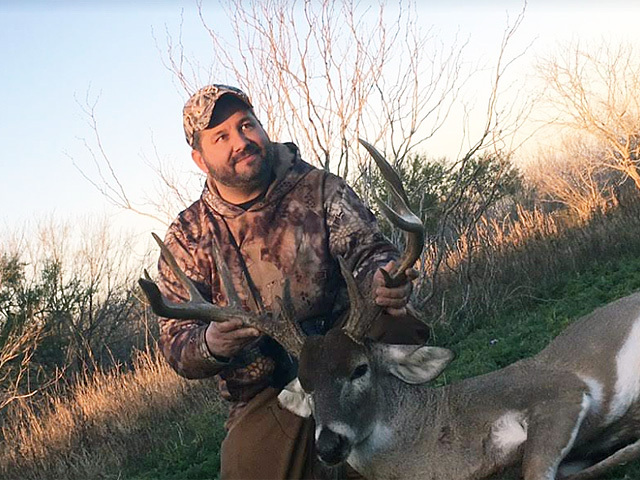 The high fence hunts are limited to 3 hunters at a time to give each hunter the best opportunity to harvest a buck that meets his expectations. Trophy hunts are available for rifle or archery hunters on any 3 or 4 consecutive days from October 1st through the end of February. 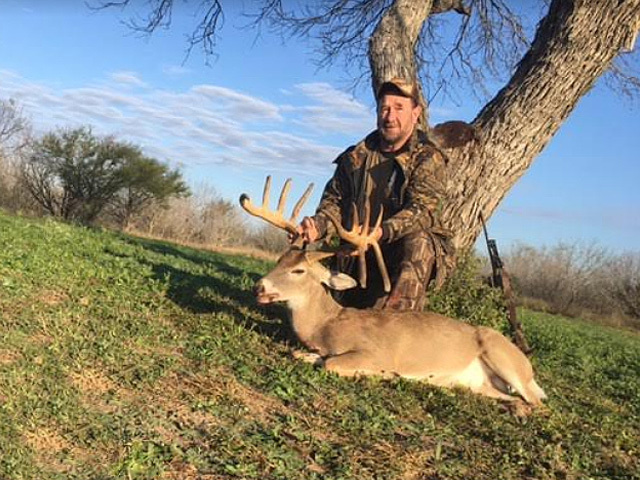 During the Texas general firearms season, November 6th - January 2nd, these hunts will be booked in conjunction with the low fence hunt dates. 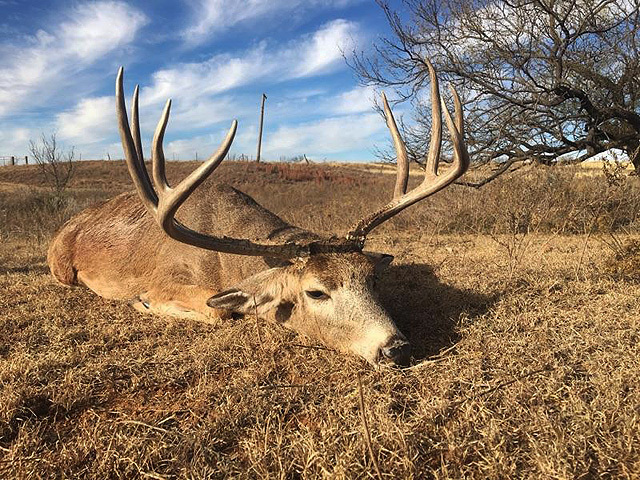 All animals harvested on a Trophy Hunt will be tagged with a MLD III tag (Managed Land Deer) and will NOT count towards the hunters Texas license limit. Management and trophy hunts are conducted in the high fence. Management hunts are for mainframe 8 and 9 points that have reached maturity but lack desired antler characteristics. Management hunts are $2900 with a $1500 deposit. 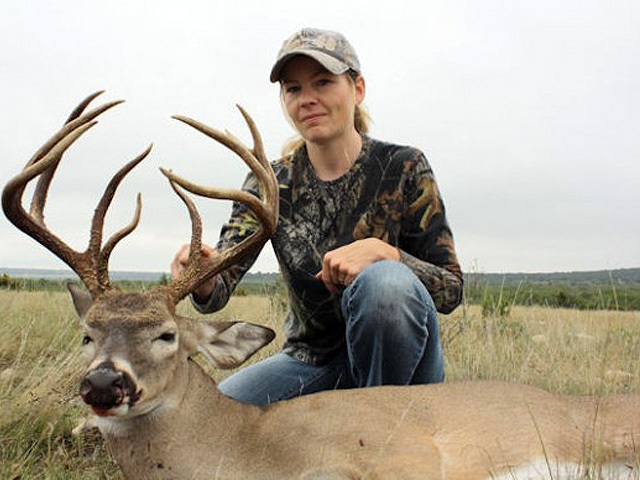 Trophy hunts are priced using a sliding scale based on the gross B&C score of the buck harvested. Trophy Hunt Pricing is as follows: up to 150 B&C $4,200; 150 1/8 to 170 B&C $5,750; 170 1/8 to 190 B&C $7,750; 190 1/8 to 200 B&C $9,000; 200 1/8 B&C $10,000 + $100 an inch for every inch over 200 B&C. Trophy hunts require a $2,500 deposit. The deposit is subtracted from the prices listed above. The final balance will be due upon the harvest of an animal. Your guide will estimate the score of the deer on the hoof. In the event of a discrepancy, the benefit will go to the hunter. If the guide says a buck is in the low 170’s and ends up scoring 169, the hunter pays for that price range deer. In the event of harvesting a 200+ animal, the hunter pays according to the final score of the animal. Both the free range and high fence hunts require a General Non-Resident Hunting License for $315. For ages 16 and under, the only license required is the Youth Hunting License for $7. License are unlimited and there is no draw required. Includes meals, lodging, 1×1 guiding and care of your deer (field dress, skin and quarter).